This spectacular and exclusive property is perched on a secluded and private hill gated and enjoys some of the best views on the island. 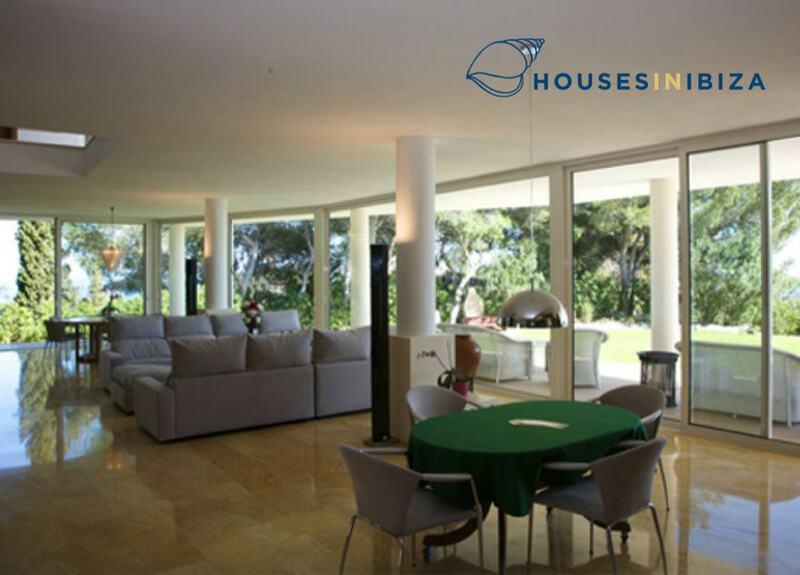 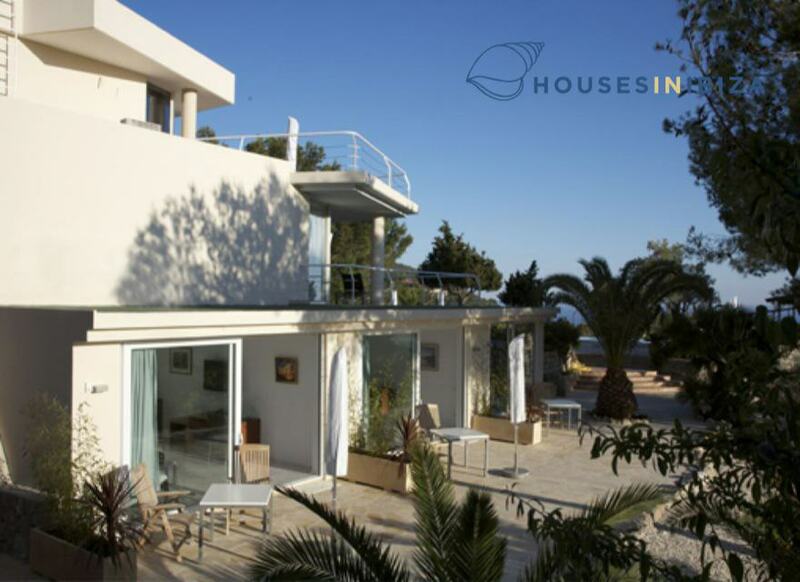 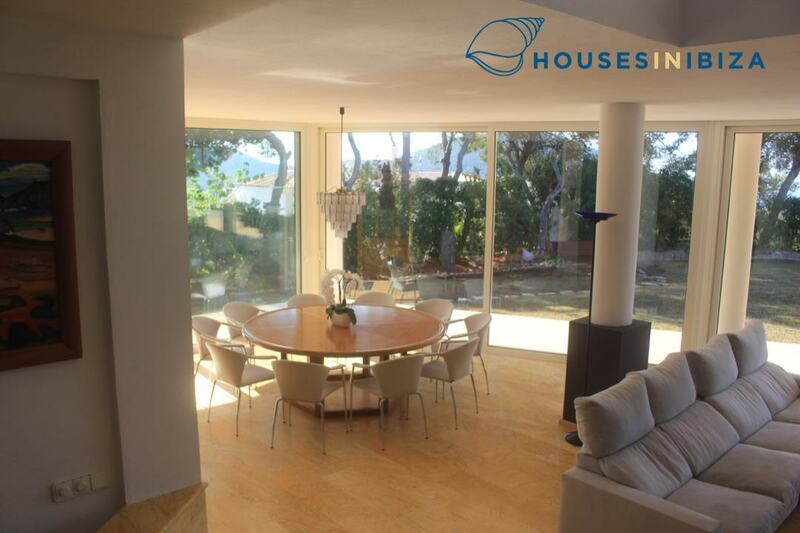 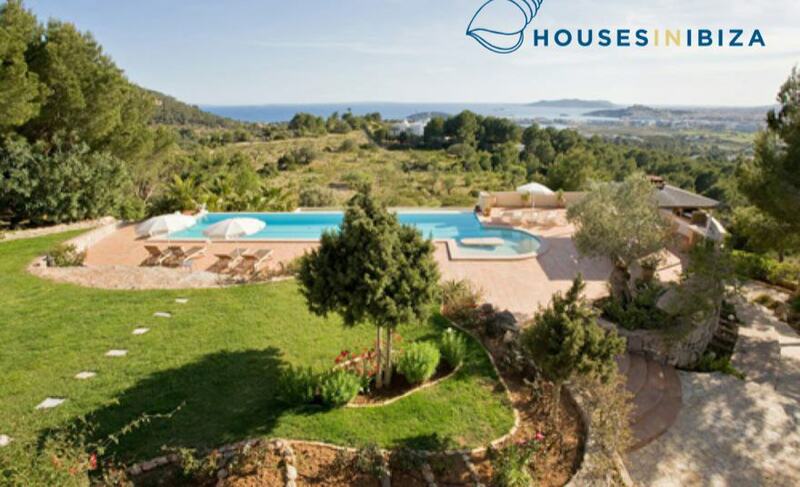 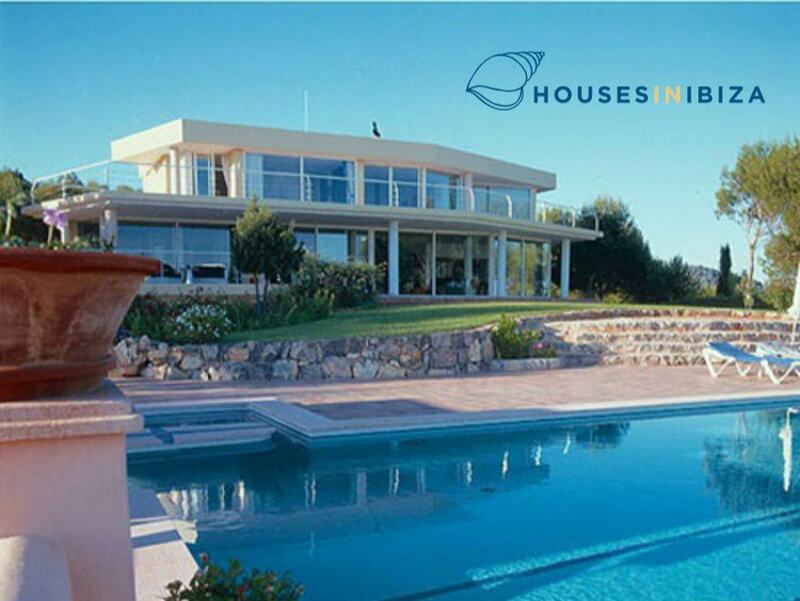 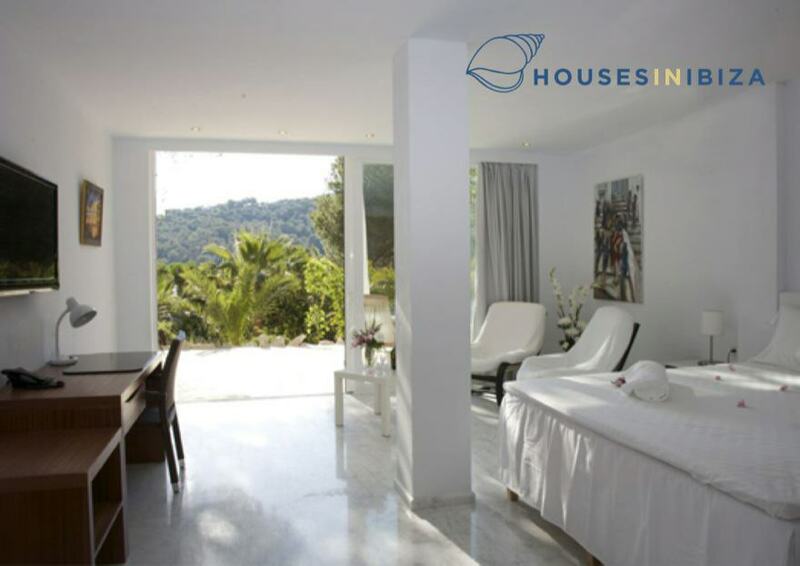 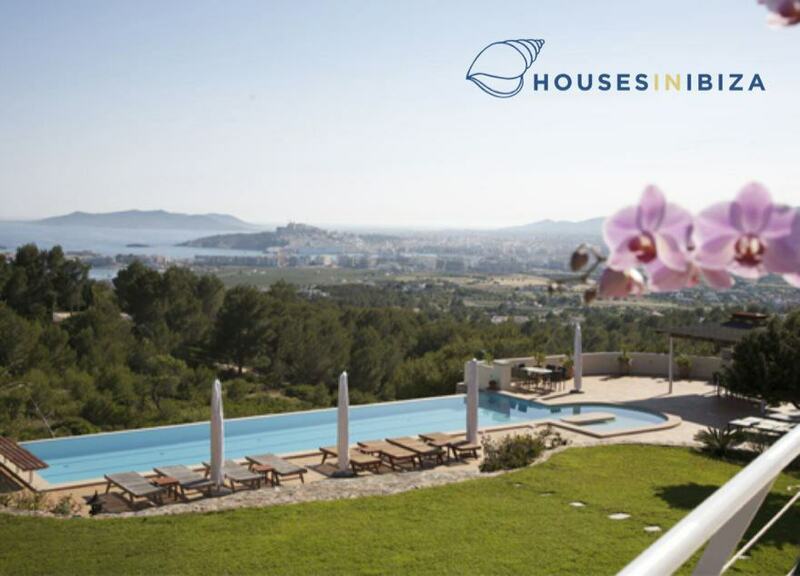 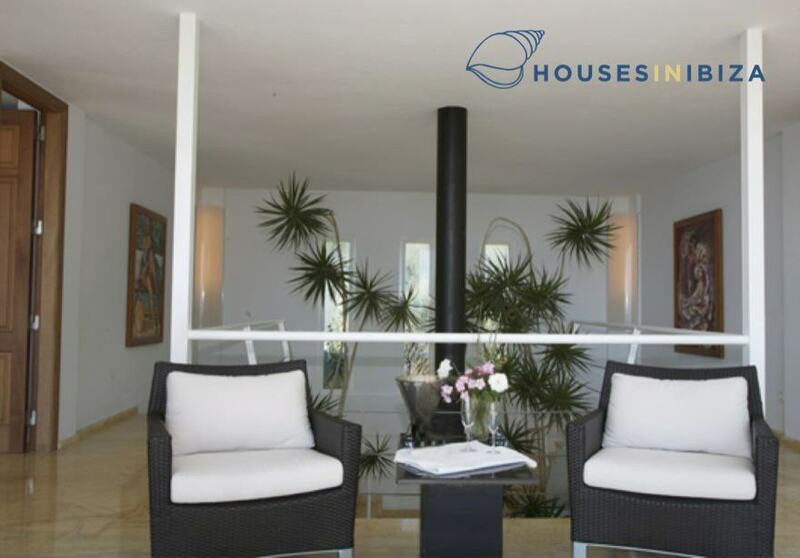 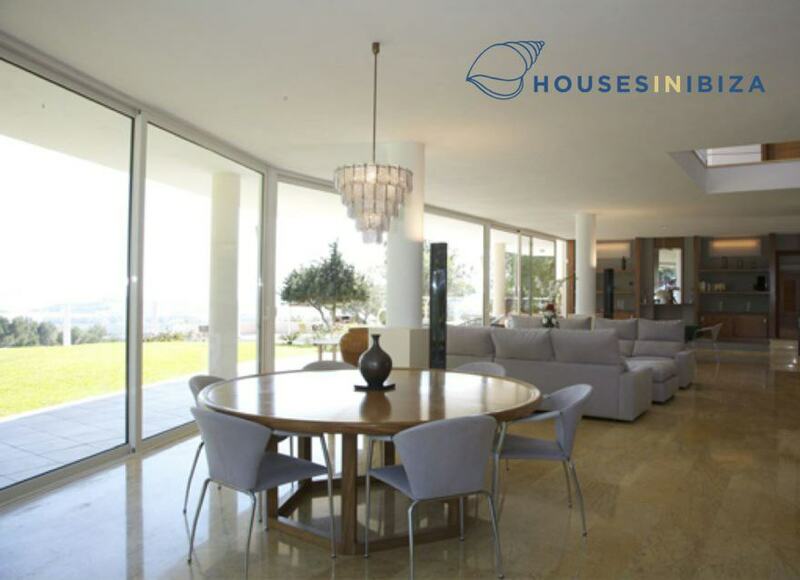 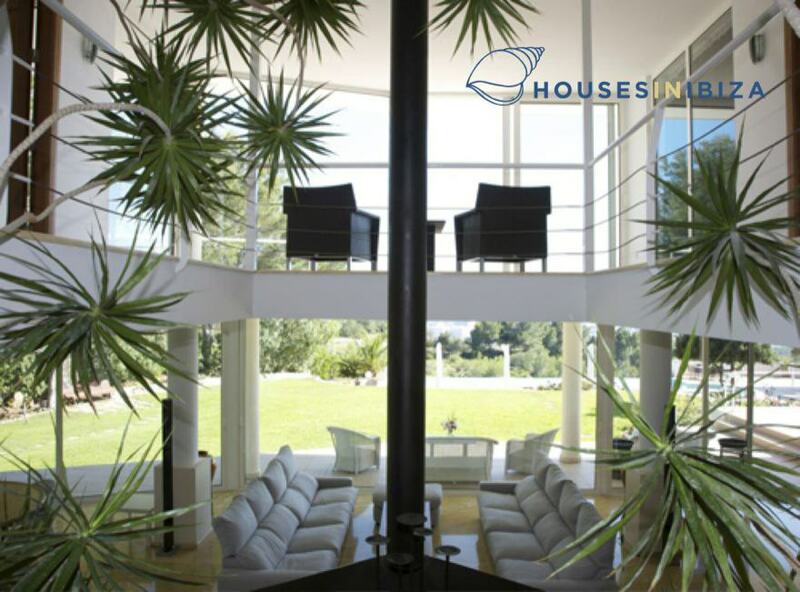 The house is built on 3 levels with ample spaces a large entrance hall and living room overlooking the gardens,and leads out to the gardens which gently slope down towards the 16m x 5 m infinity pool with extraordinary views onto the Mediterranean the historic Dalt Vila in Ibiza town and the island of Formentera. 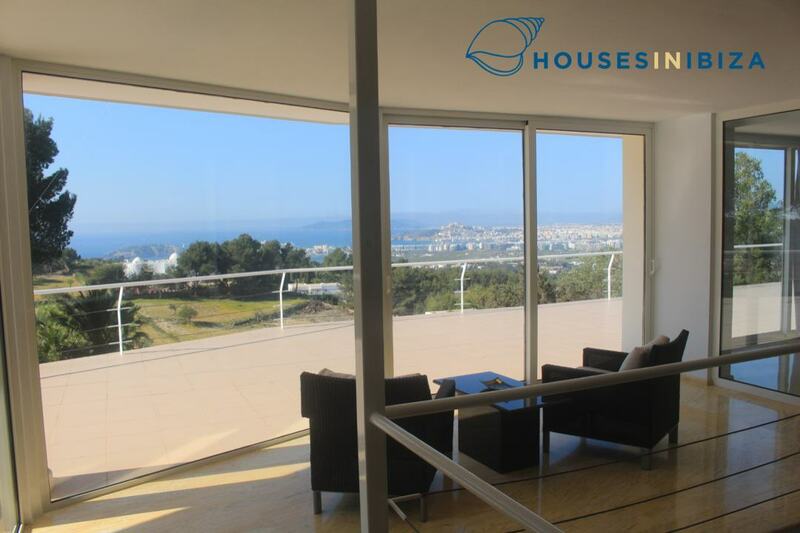 The first floor has a large distributor which lead to 2 large double bedrooms with en suite bathrooms and extraordinary views and terraces. 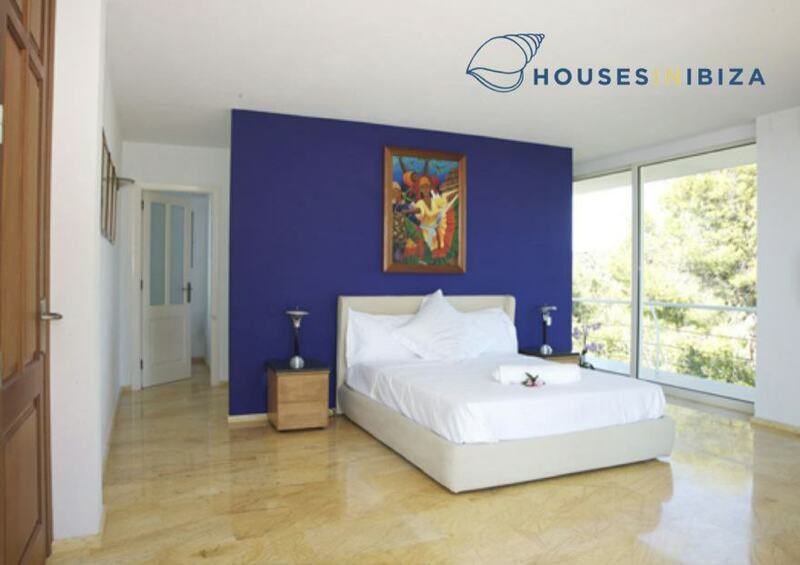 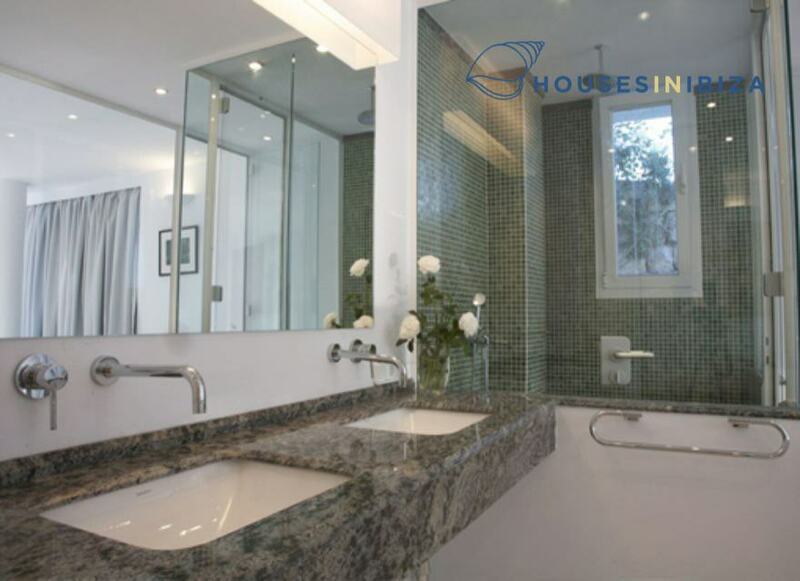 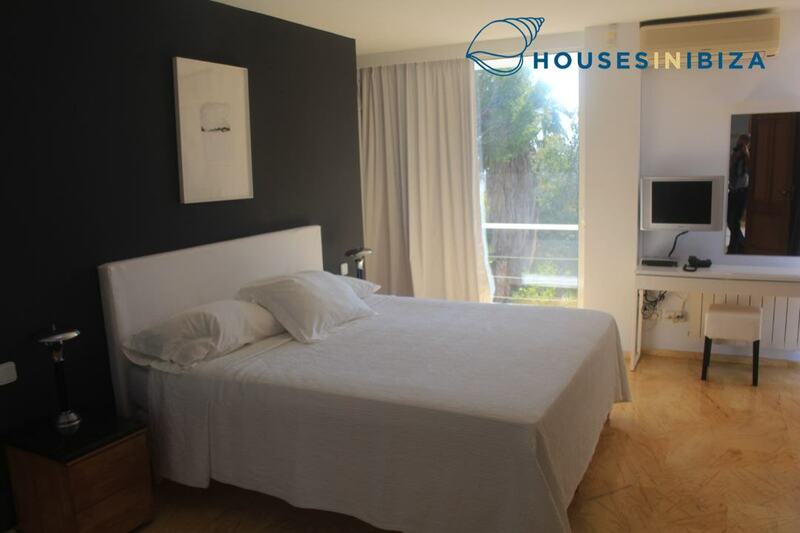 The lower floor has 3 large double bedrooms with en suite bathrooms and their own individual access and patios. 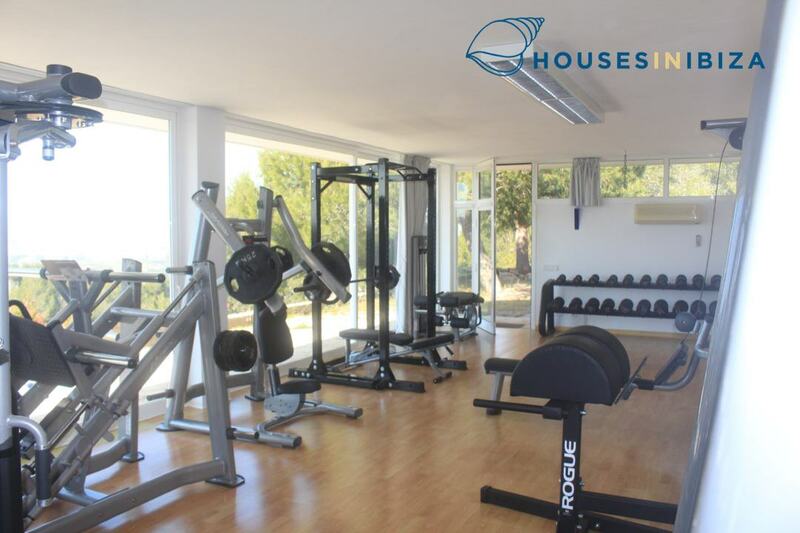 Under the pool area there is a gym and spa with jacuzzi, sauna, musical equipment, bar and again wonderful views onto the sea. 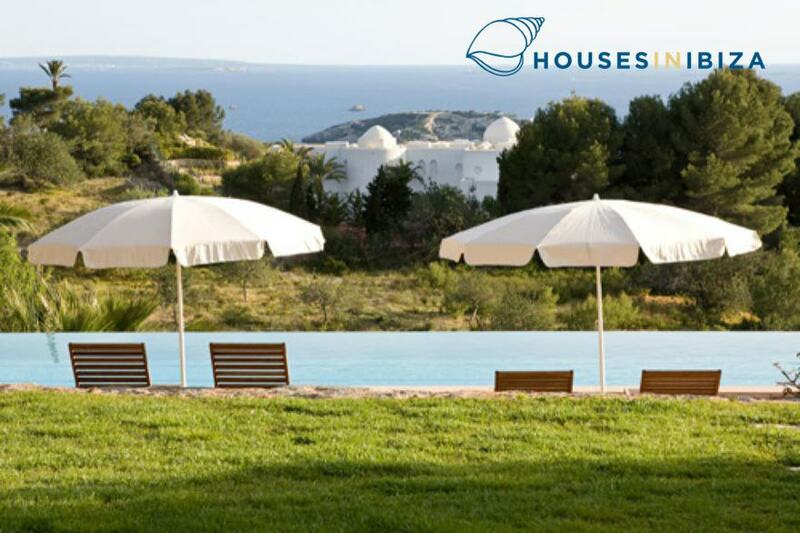 By the pool side area there is a BBQ and outside shaded dining area. 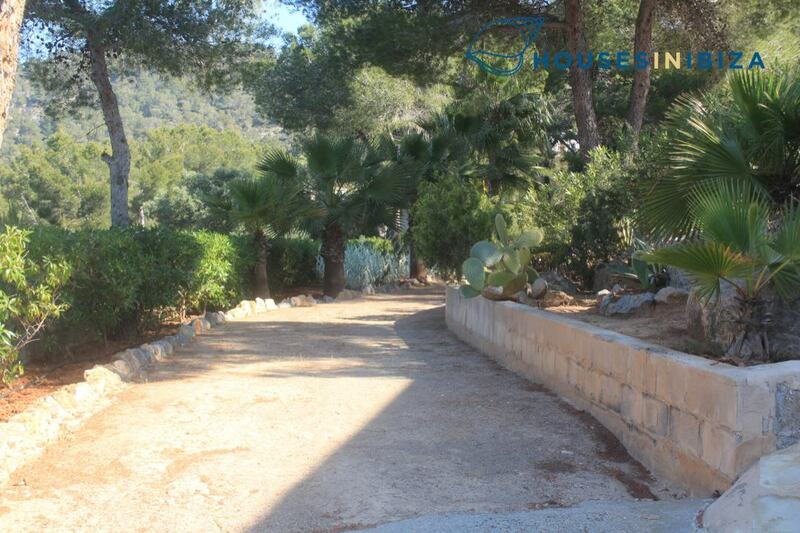 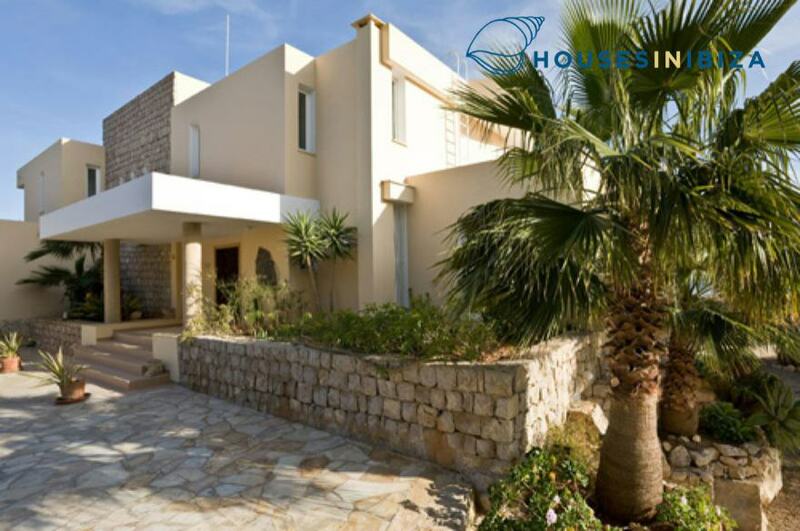 The plot is gated and secure and well kept mature lush gardens. 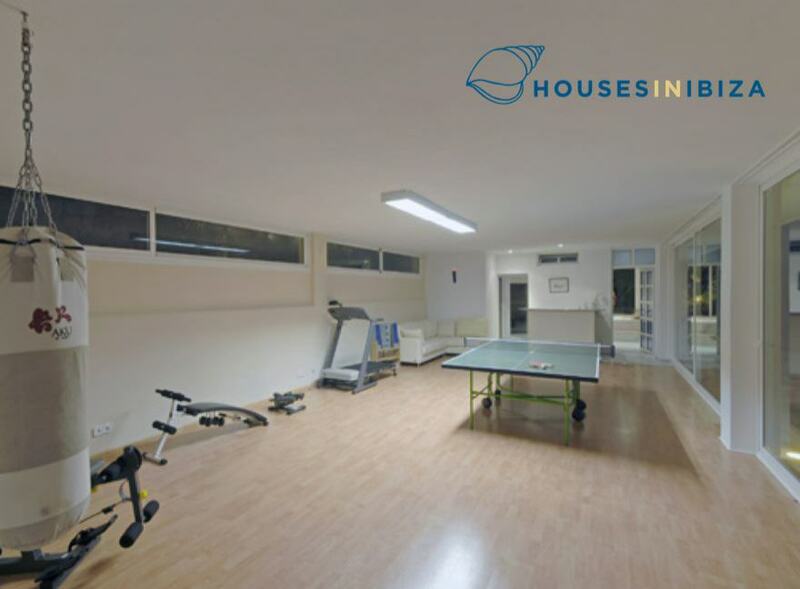 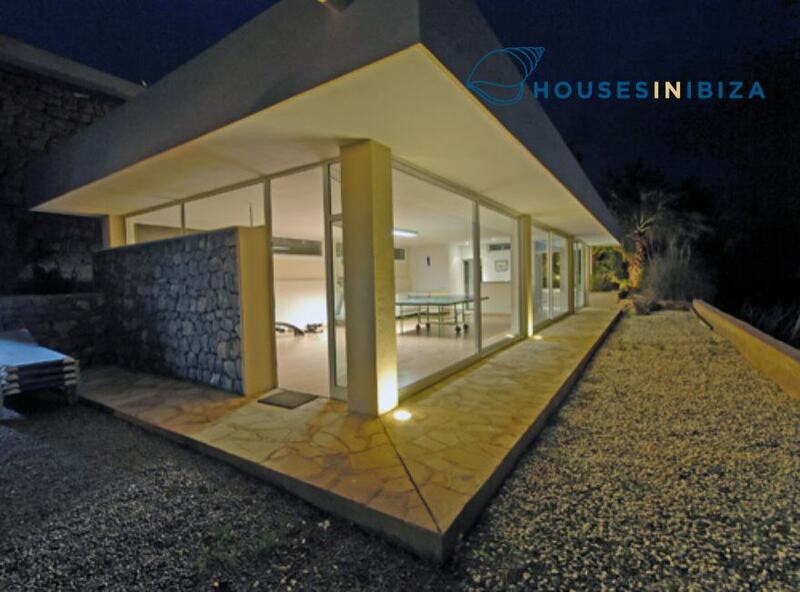 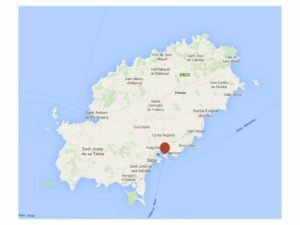 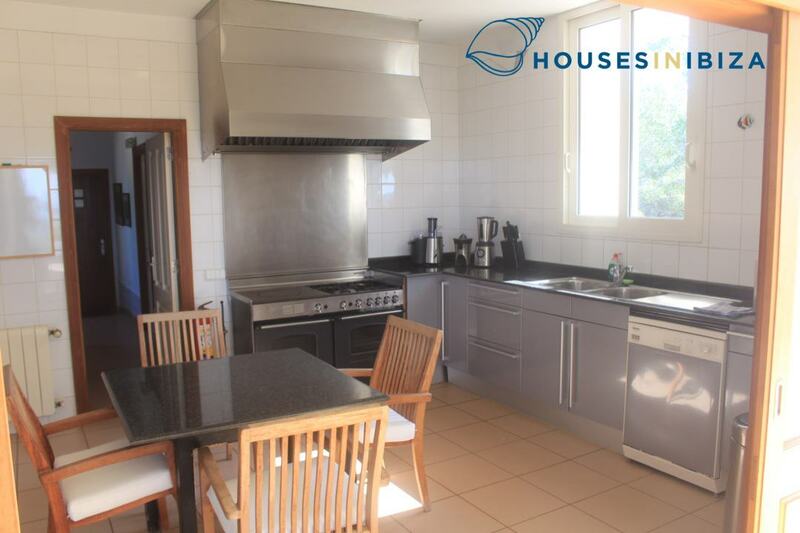 This house has reversible air conditioning, central heating, telephone – ADSL .